Turbine Diameter 21" & 24"
We have gained a respectable position as a supplier and trader of Roof Top Ventilators. 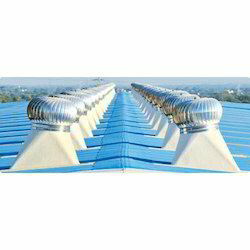 These Roof Top Ventilators involve zero cost for running and maintenance. Available both in Stainless Steel (SS) and Aluminium (Al) and in 21" & 24" diameters on order. With the help of our team, we are committed to dispatching these products to the clients' end in committed time-period. 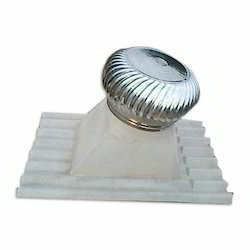 Known in the market as a manufacturer, supplier, and trader, we are providing our clients with Turbo Air Ventilators. Find its applications in factories, warehouse, workshops and industrial sheds, our offered ventilator is effective to remove hot Gases and obnoxious fumes from the place. Also, the aluminum and stainless steel used in the manufacturing process is sourced from reliable vendors. To cater to the exact demands of customers, we are engaged in manufacturing, supplying and trading a wide range of Wind Driven Air Ventilators. Can be installed on any type of roof, these ventilators are developed using stainless steel with the aid of modern machinery and technology. Demanded various factories and other places, our offered ventilators are available at industry leading prices.